Elmer Gantry is a 1960 drama film about a con man and a female evangelist selling religion to small-town America. Adapted by director Richard Brooks, the film is based on the 1927 novel of the same name by Sinclair Lewis and stars Burt Lancaster, Jean Simmons, Arthur Kennedy, Shirley Jones and Patti Page. Elmer Gantry was nominated for five Academy Awards in 1961, including Best Picture and Best Score. It won Best Actor for Lancaster, Best Supporting Actress for Jones, and Best Adapted Screenplay. Jean Simmons was nominated for the best actress Golden Globe award. 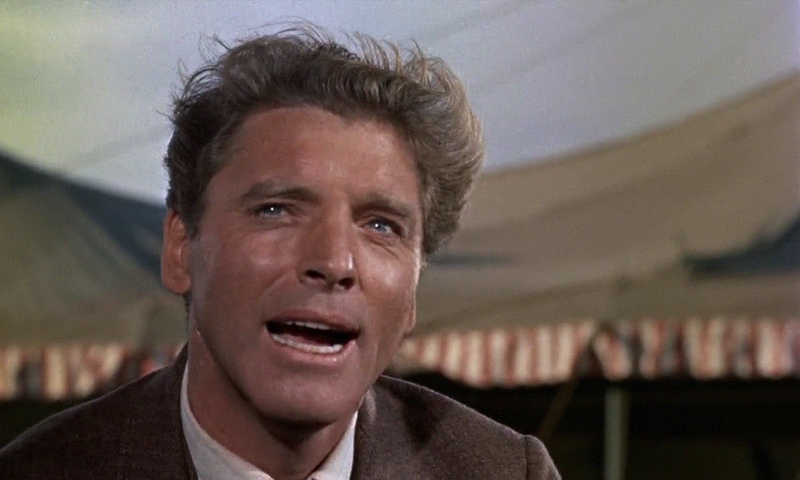 The movie presents fewer than 100 pages of the novel Elmer Gantry, deleting many characters and fundamentally changing the character and actions of female evangelist, Sister Sharon Falconer, as played by Simmons. The character of Sharon Falconer was loosely based on elements in the career of the Canadian-born American radio evangelist Aimee Semple McPherson, who founded the Pentecostal Christian denomination known as the International Church of the Foursquare Gospel in 1927. In addition, a plot point from the end of the novel is incorporated into Gantry’s and Lulu Bains relationship, fundamentally changing the fates of both characters.